Thousands of students have safely and successfully participated in Front Sight's Rope, Rappel, and Climb courses over the last several years without incident. Tragically, we experienced a fatality on the 1,000 foot. Zip Line during the 8th Annual July 4th First Family Reunion. We openly share this information so others may learn from it and to help prevent such a tragedy from ever happening again. The incident occurred on July 4, 2007, during the annual First Family Reunion event. The time of day was approximately 7:15 p.m. The weather was clear, sunny, calm, with perfect visibility, and about 100 degrees. The incident occurred on one of three Zip Lines which originate from the Rappelling Tower. Instructors working the Zip Line were seasoned Rope, Rappel, and Climb Instructors who had also instructed during previous July 4th Events. The Zip Lines are essentially steel cables which start high in the rappelling tower and extend in an arc to a pole about 1,000 feet in the distance. The participant is placed in a safety harness and helmet which is inspected for proper fit and function before two safety lines are secured to a trolley composed of two pulleys that are locked around the steel cable. When the instructor and participant at the top of the Zip Line see that the Zip Line is clear, the participant is given a verbal “OK, go when you are ready” and then leans forward and drops down and away from the tower, riding below the steel cable under the force of gravity. The participant comes to a stop approximately 15-20 feet off the ground in a low point of the cable, at which time the instructor at the bottom of the Zip Line engages a large, steel, scissors lift platform to rise up to retrieve the participant from the cable. The platform is raised and the participant is detached from the overhead cable, reattached to the platform, and then lowered to the ground. Once the platform is safely secured in the down position, the participant is detached and walks off of the platform. At that point, there is visual confirmation from the instructor operating the platform at the bottom of the Zip Line that the platform is down and the Zip Line is clear. The fatal incident occurred as one participant had completed the Zip Line ride and was hanging in the air waiting to be retrieved from the cable. The instructor at the bottom of the Zip Line, who was operating the platform, was still in the process of raising the platform to retrieve a participant. He had not yet given any visual indicators that the Zip Line was clear. The instructor at the top of the Zip Line then gave the participant, who was a graduate of Front Sight’s Rope, Rappel, and Climb course, and who had completed numerous Zip Lines in the past, a verbal “OK, check your line, check the lift, and go when it's clear.” Evidentally, the participant was distracted by his family behind him and turned to have his picture taken. Without confirming that the lift platform was down, and to the shock of the instructors, the participant then stepped off the Zip Line platform facing backwards and failed to clearly see that the lift platform was moving in the up position and that the previous participant was still waiting to be retrieved. The instructor on the bottom of the Zip Line, operating the platform, attempted to quickly retrieve the first participant and lower the platform— thus getting out of the way of the incoming participant. Tragically, the participant impacted into the platform and was killed instantly. Front Sight staff immediately activated the 911 EMS system. A Front Sight Paramedic was on the scene within three minutes and determined that the participant was deceased. All three zip lines were immediately closed for the remainder of the event. Nye County EMS and Nye County Sheriff/Coroner arrived and conducted an investigation which lasted several hours. 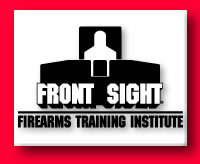 During the investigation, Front Sight staff and management cooperated completely and provided as much comfort as possible for the family members of the deceased. A Front Sight staff member was assigned to remain with the grieving family, assisting them with anything they needed, and driving them safely home after they had made the appropriate arrangements for the deceased. The entire group of Front Sight staff and members were gathered together, informed of the tragedy, and the July 4th First Family Reunion concluded with the Front Sight management, staff, and hundreds of Front Sight members holding a candlelight memorial to pray for the family and the soul of the deceased. No words can express the so rr ow we feel as individuals and as an organization for the loss of one of our own in this tragic accident. Unlike fatalities of unknown individuals that have occu rr ed in numerous and well known theme parks and adventure resorts throughout the country, this tragedy took the life of a friend and loyal supporter of Front Sight. He was a good, family man and he loved Front Sight. He purchased memberships for his entire family. This was a tragic accident. We have fully reviewed our training and standard operating procedures and have found them to be totally safe and effective as evidenced by the thousands of previous Zip Line participants. This incident was the result of a te rrible human e rr or in failing to follow well known, simple, and effective safety protocols.